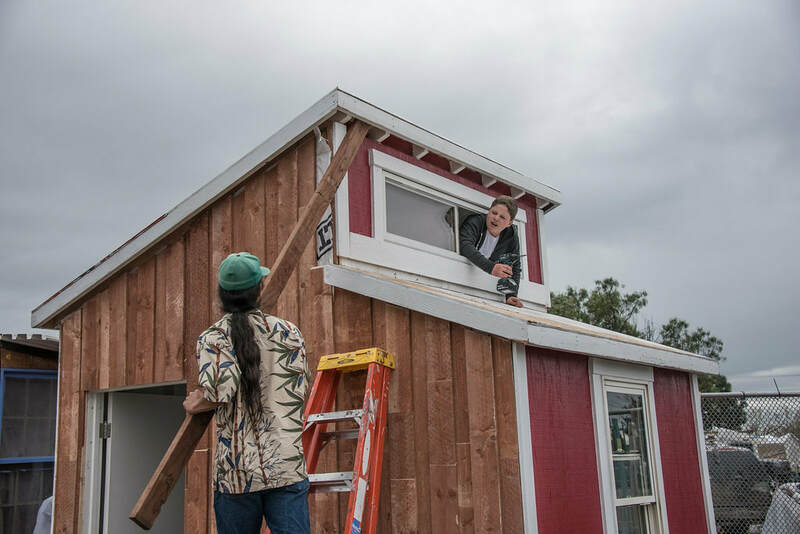 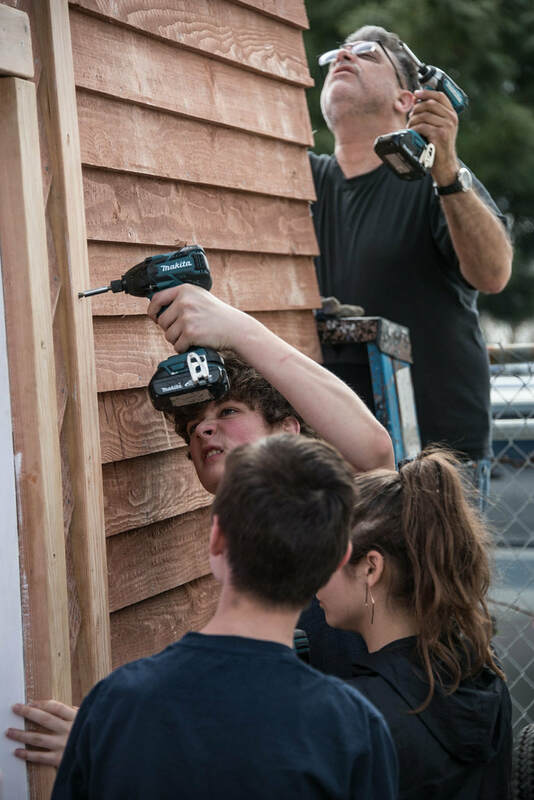 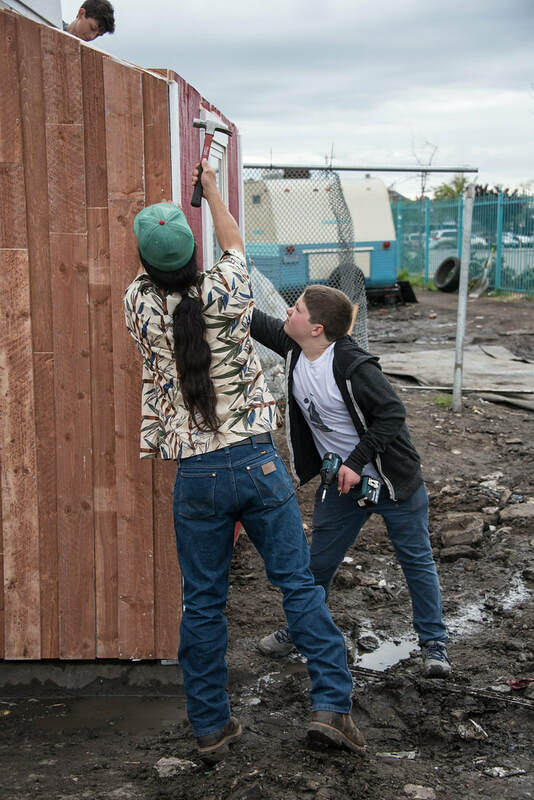 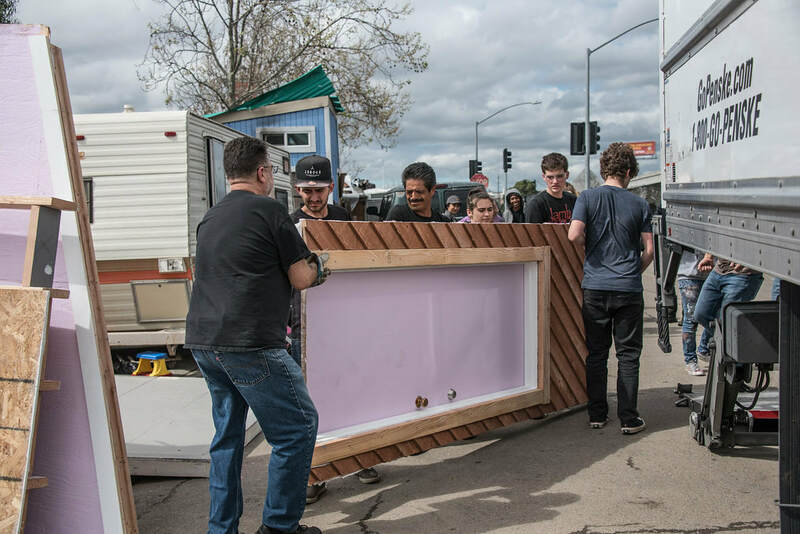 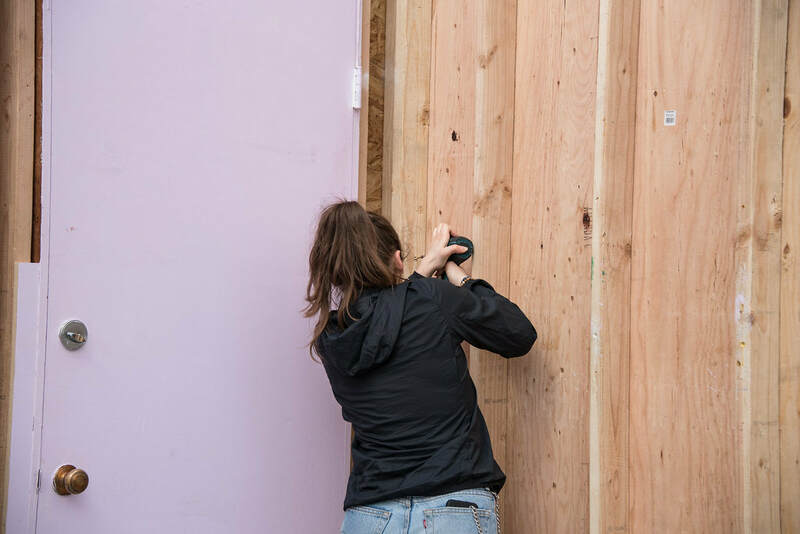 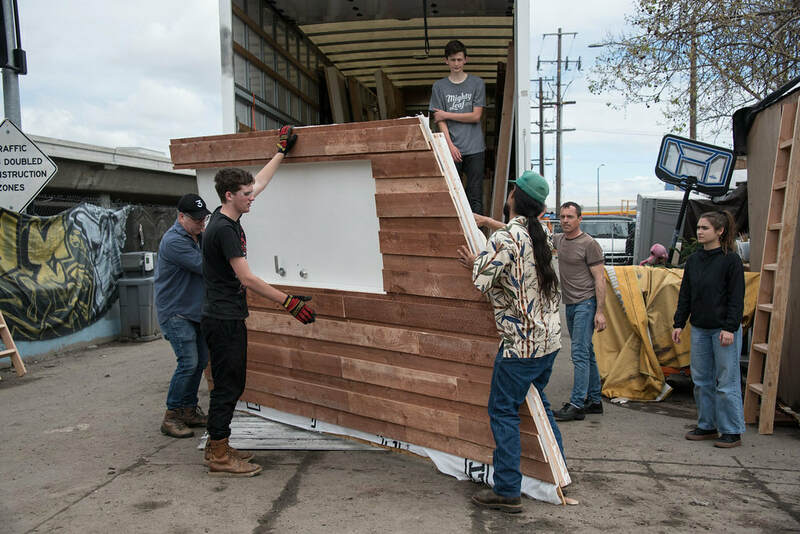 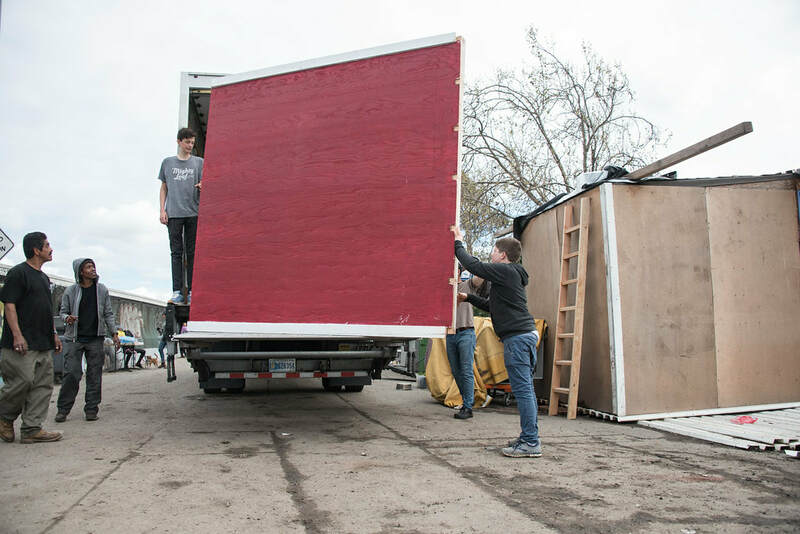 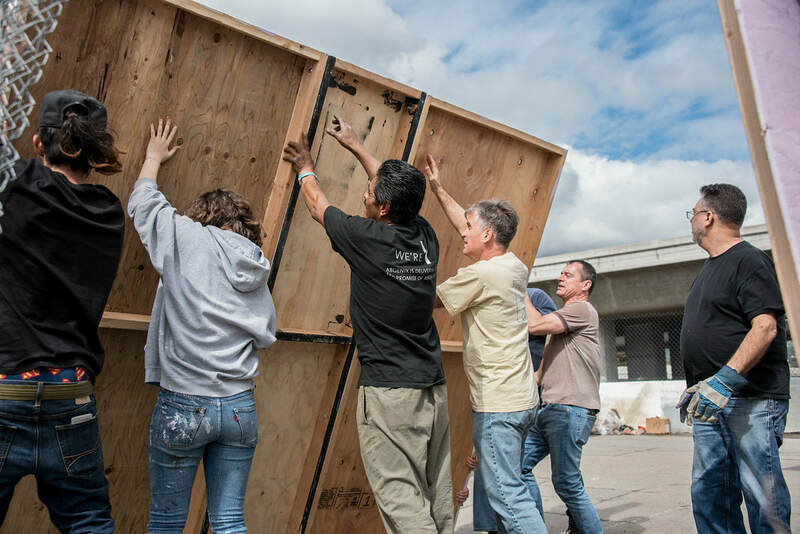 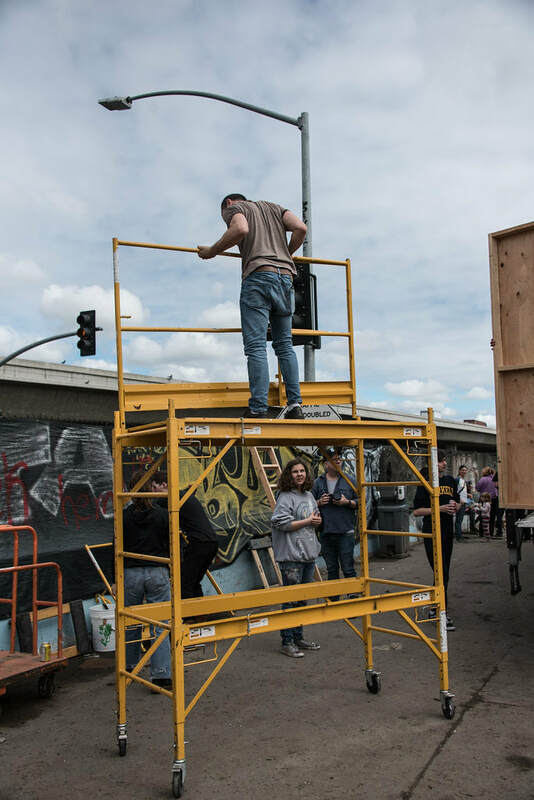 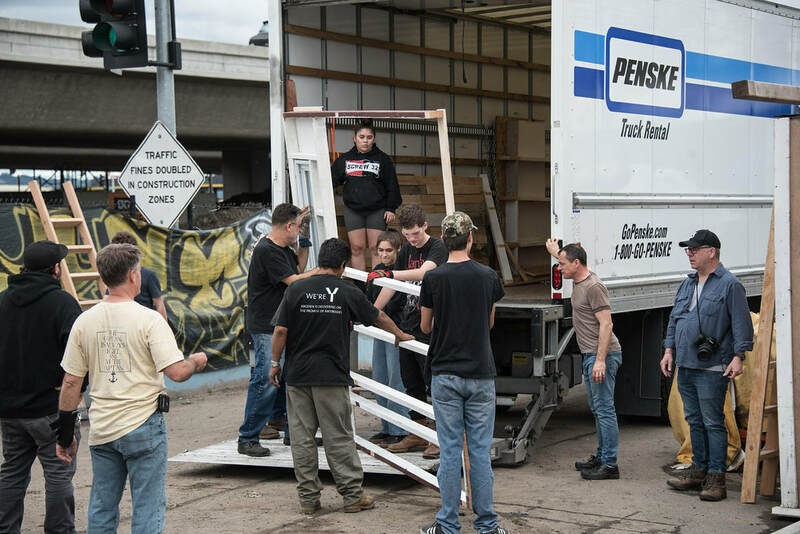 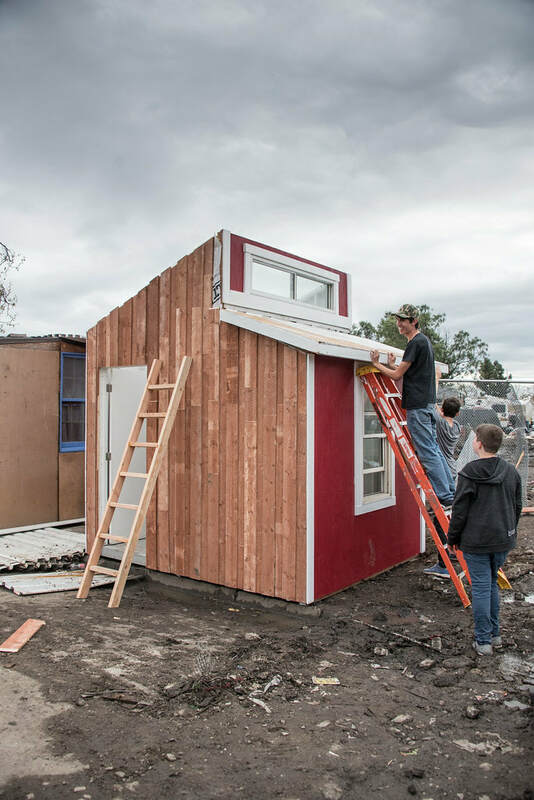 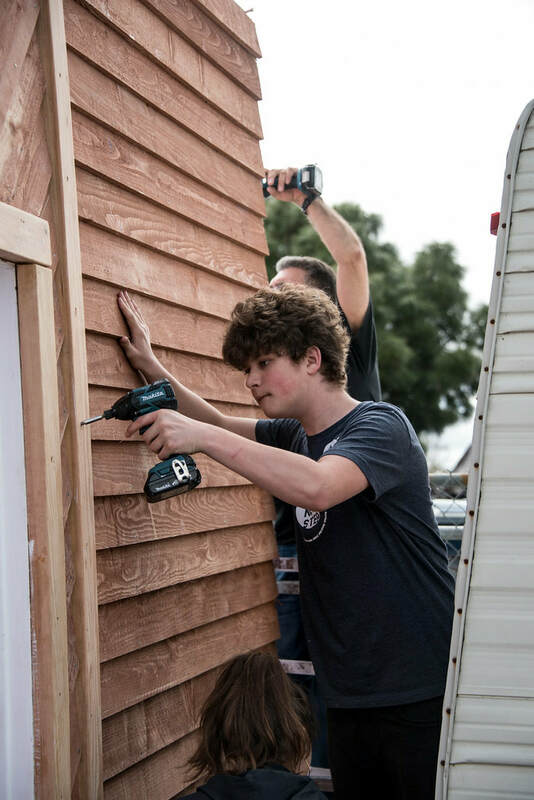 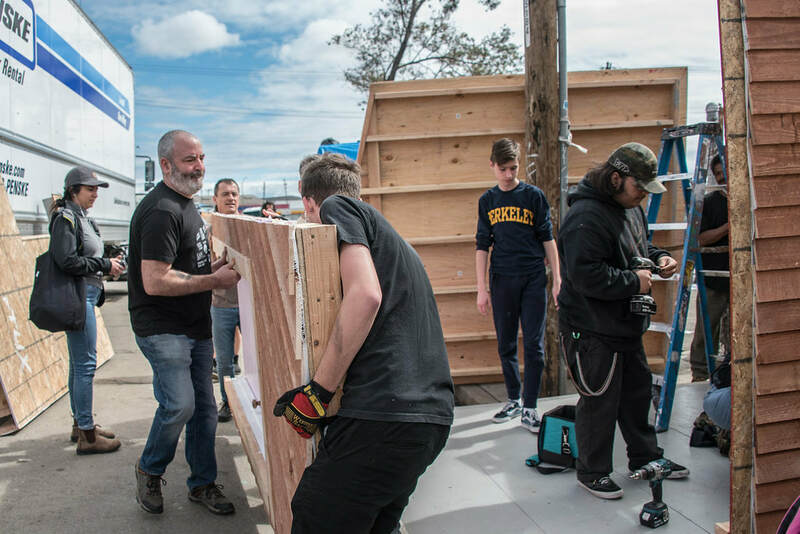 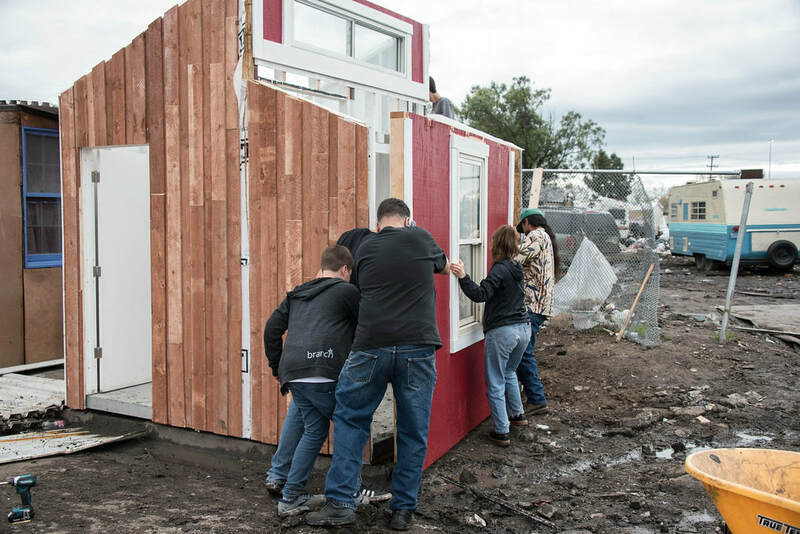 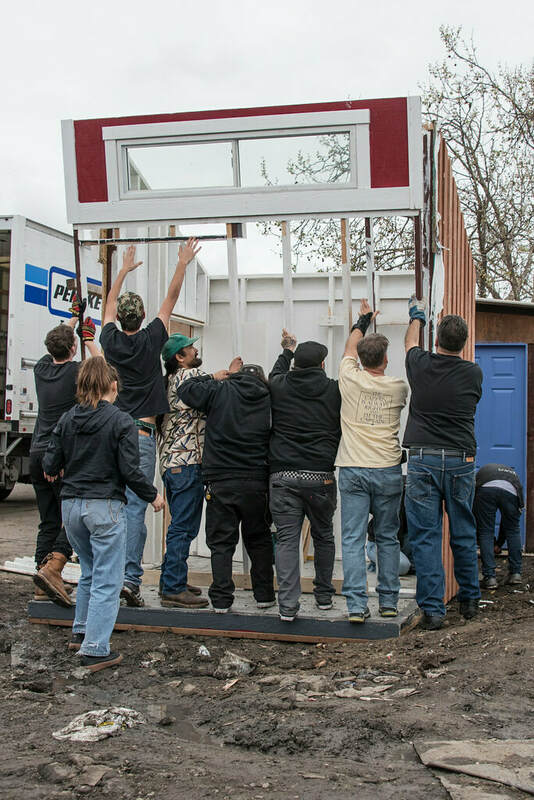 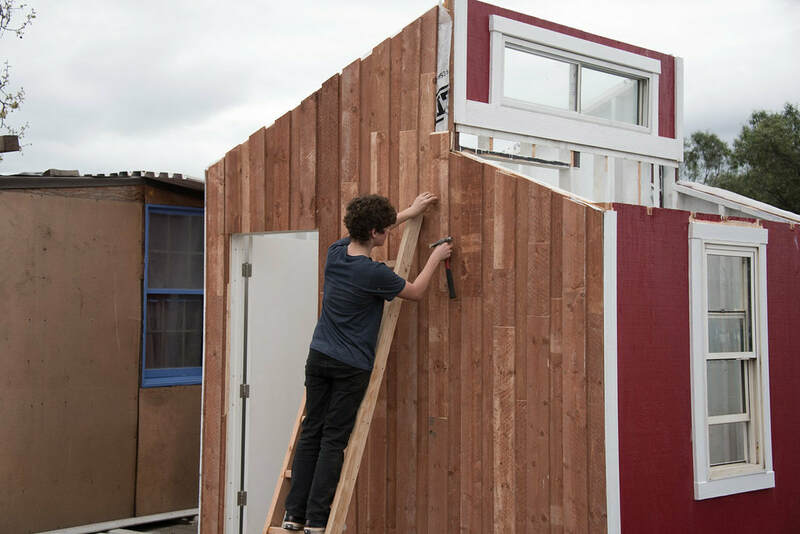 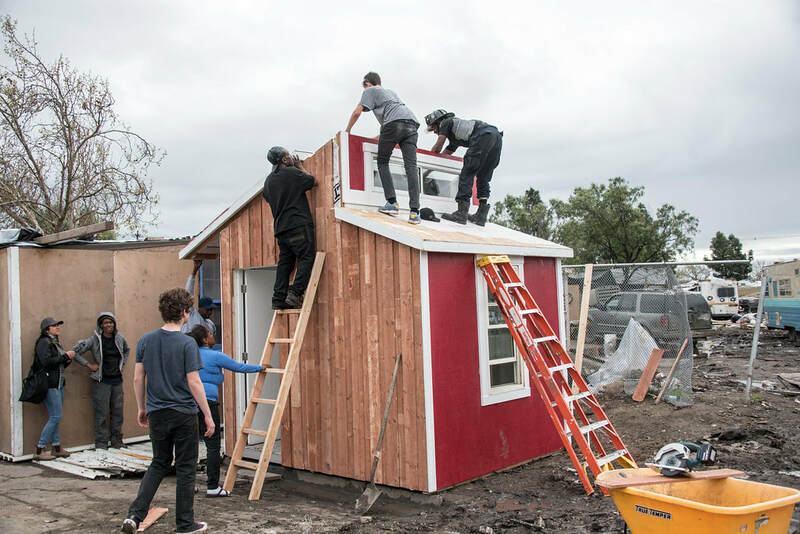 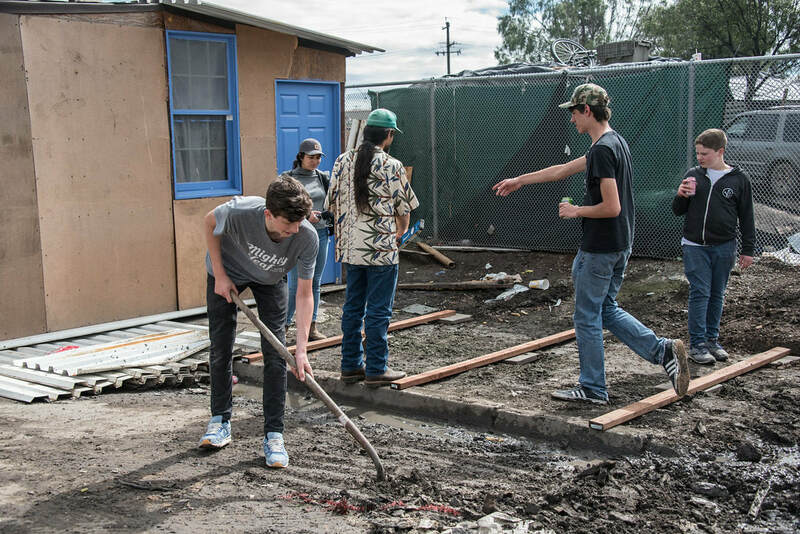 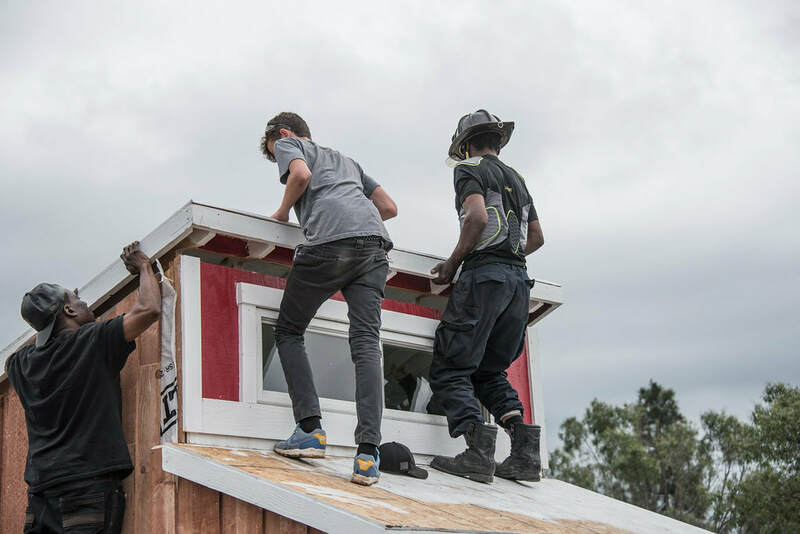 37 ninth to eleven grade students from Oakland School for the Arts participated in a tiny home design challenge and built 3 tiny homes. 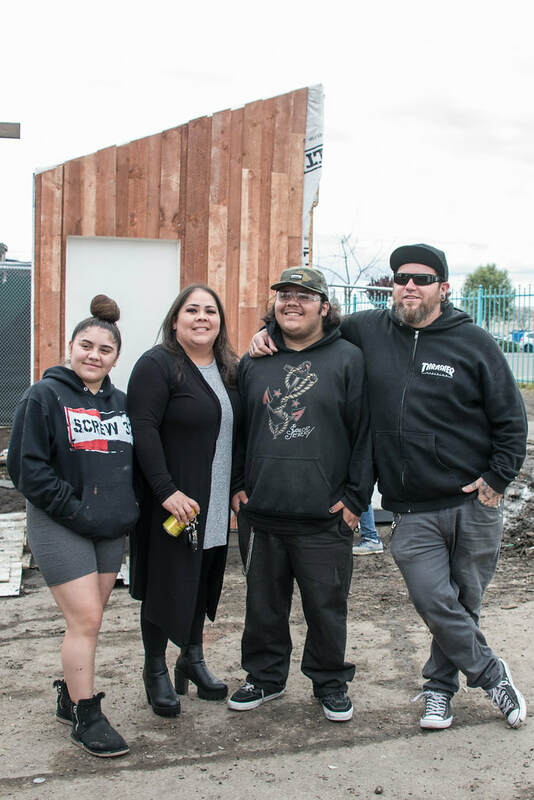 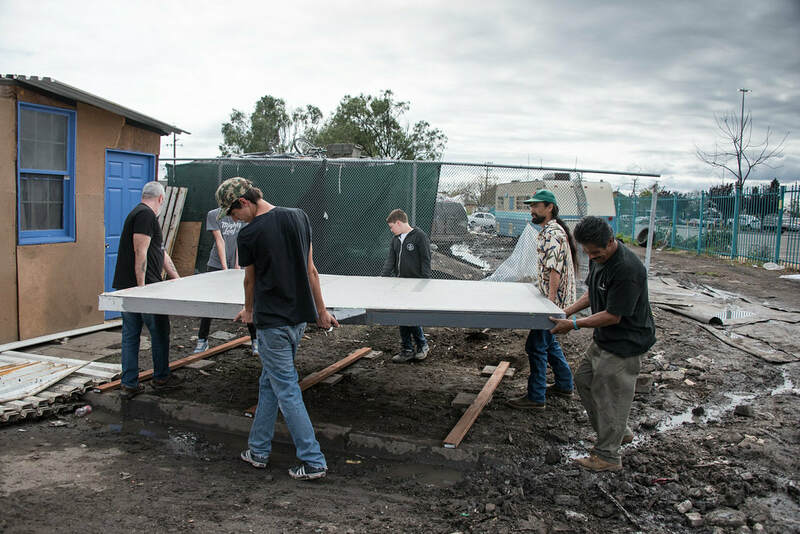 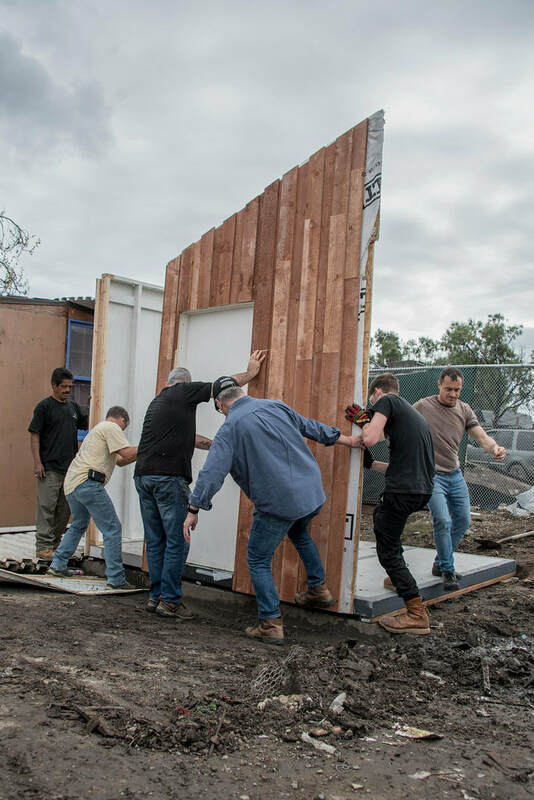 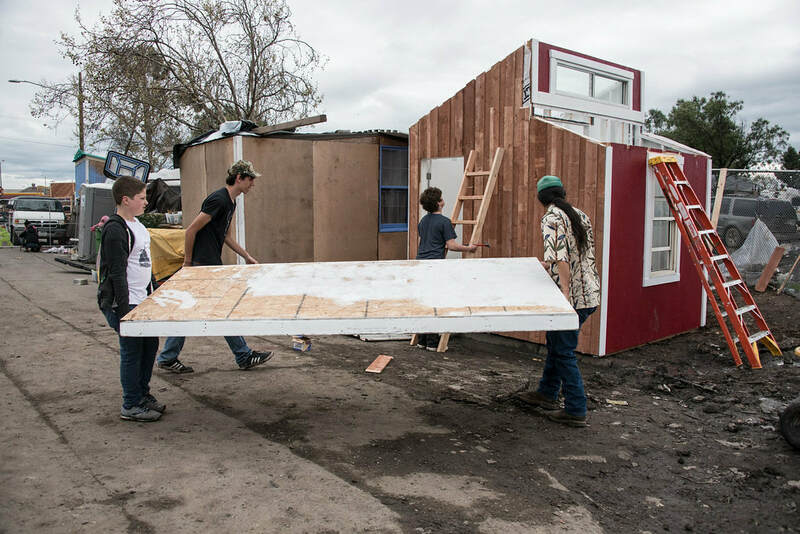 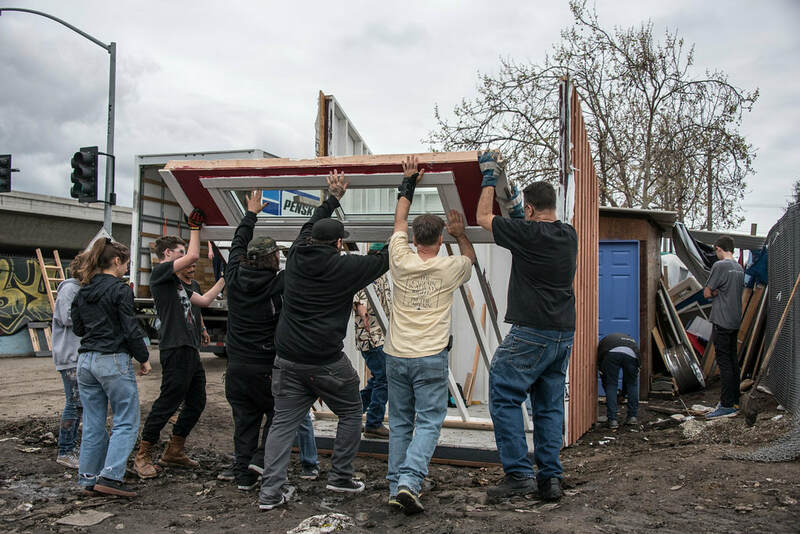 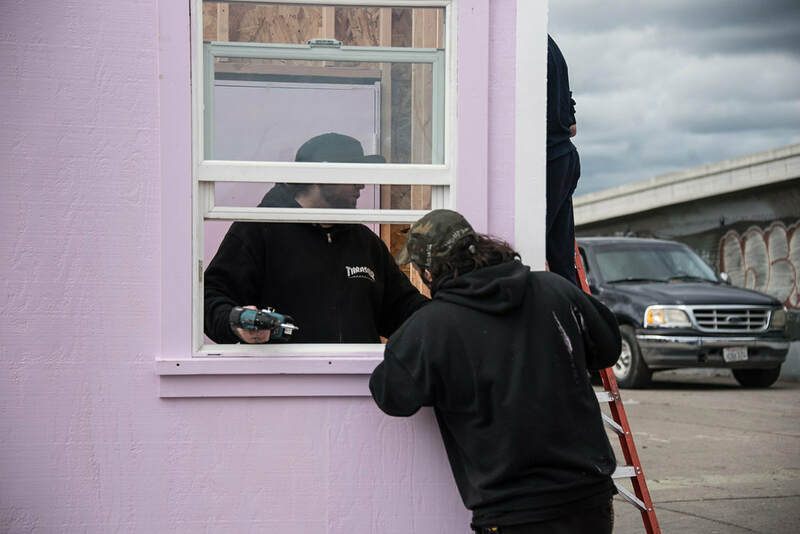 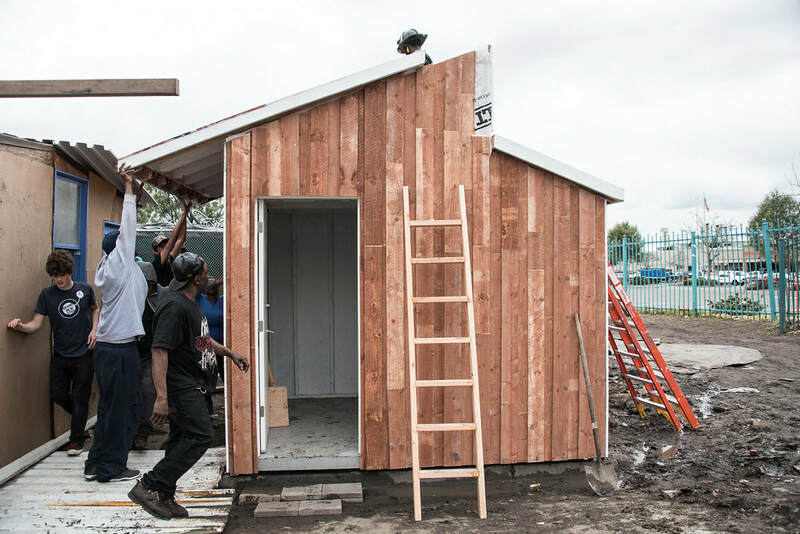 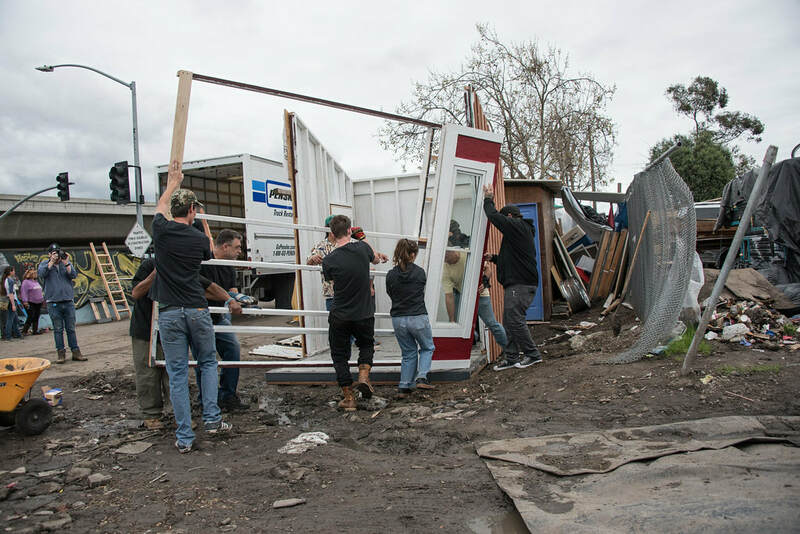 EOC helped coordinate the amazing students donating two of the homes to two mothers in a curbside community in East Oakland. 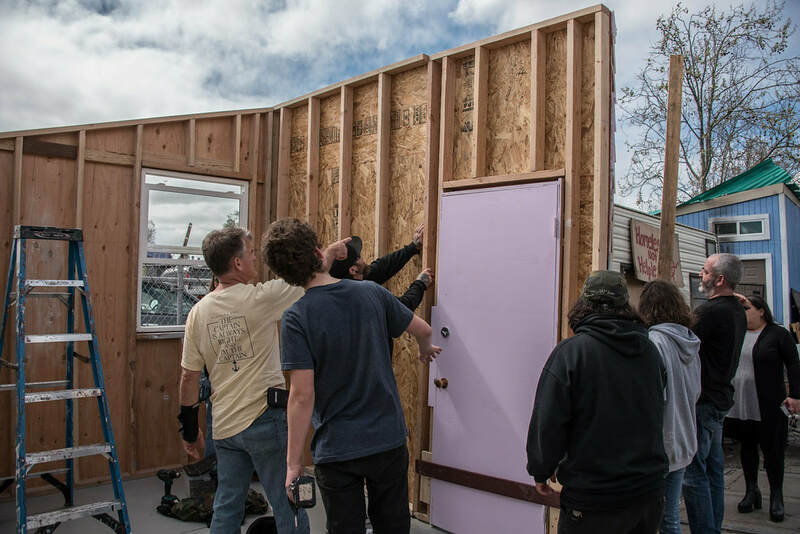 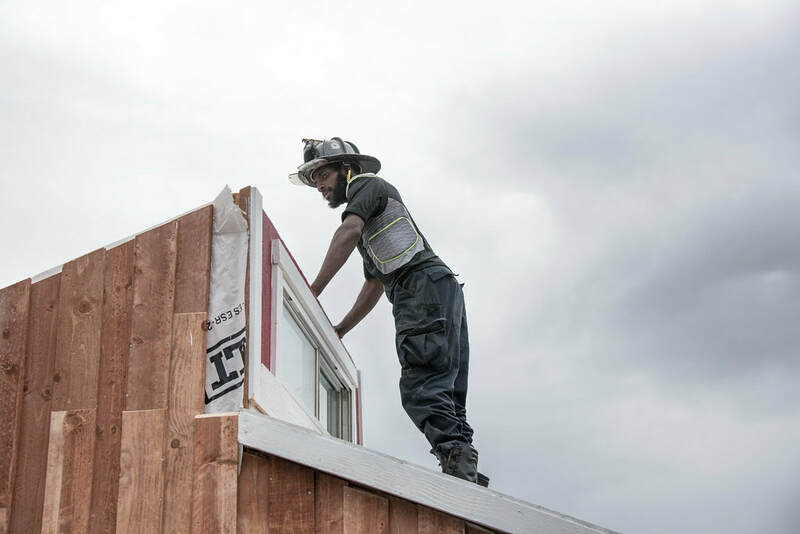 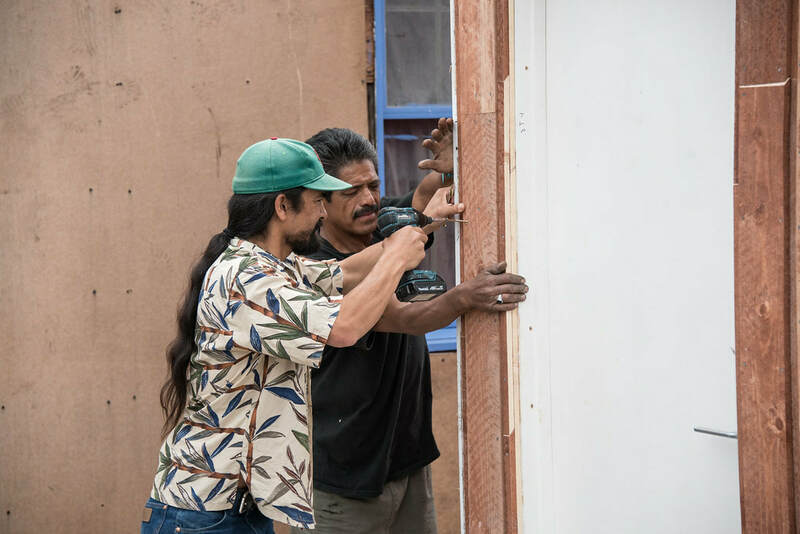 The homes were rebuilt at the curbside community on April 5, 2019.